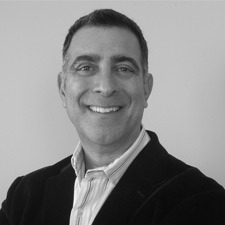 With 20 years developing international corporate leaders and teams, Robert Calabrese has a reputation for exceptional facilitation and coaching skills, as well as a demonstrated ability to increase personal and organizational effectiveness to achieve targeted goals. He is dynamic and motivational, with a passion for personal excellence and relationship management, which is revealed every time he speaks on High Performing Work Team Effectiveness, Managing and Developing Strengths, Workplace Communication, Employee Engagement, Coaching and Feedback, Managing Conflict, and Leading Change. As a former Director of Merrill Lynch’s Corporate Leadership & Development, Robert worked closely with executive management teams to help create change in work groups and business divisions in order to differentiate themselves as positive cultures seeking to deepen employee engagement. Robert is Principal and co-founder of Business Visions Group (2008) and uses his talents and many years of experience in individual and organizational development to help business leaders, managers, and work teams, to increase engagement by identifying their core strengths and successfully apply them to their aspirations and strategic goals. Robert’s successful business clients span both the for-profit and non-profit sectors. A former monastic and priest for 19 years, Robert has brought to his secular career a deep regard for the human spirit. His background as a Pastor, Director of Continuing Education, Hospice Chaplain, and spiritual mentor informs the way he inspires individuals and teams to develop, grow, and succeed. Robert holds an undergraduate degree in Philosophy/Psychology and earned his Master’s Degree at Seton Hall University.